Starlight, signed rare Frogman Bronze sculpture by artist Tim Cotterill. An impressive solid bronze frog sculpture on magnificent floral display. 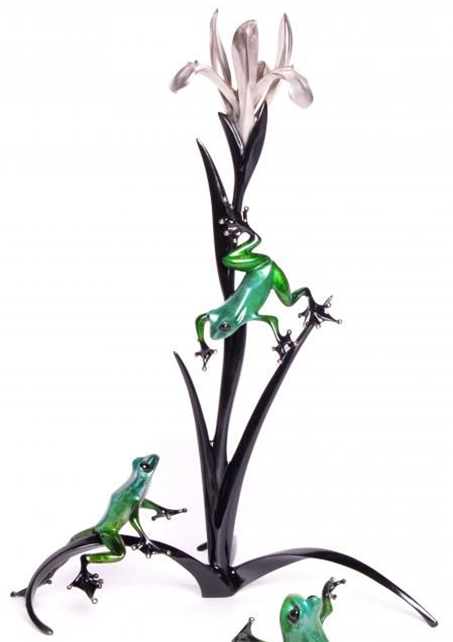 Playful frogs with perky green patinas play around a stunning flower. An exciting Edition Variation of Iris in an edition size of just 45. Dimensions: 11.5" x 8.75" x 16.125"